Another clear night at ESO’s Paranal Observatory in Chile — perfect for sitting back and taking in the sight of our galaxy, the Milky Way. Many of us living in living in crowded, light-polluted cities no longer get to see our cosmic home in such detail. 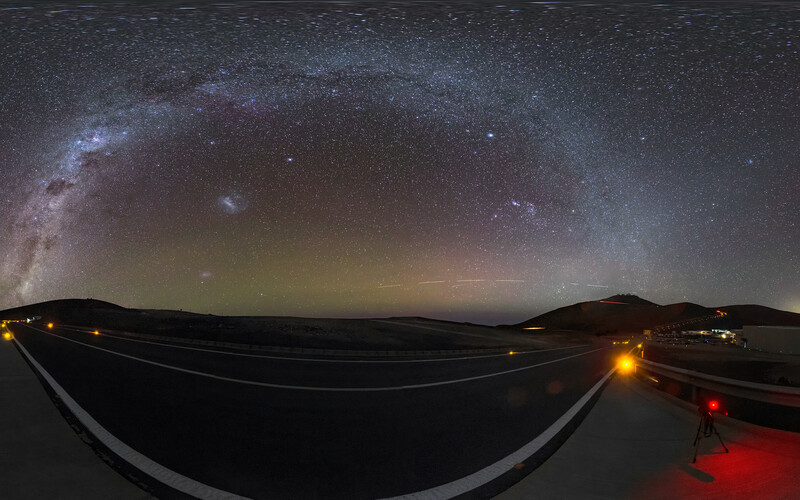 We now know this stunning view to be our home galaxy, but the Ancient Greeks thought that it was the work of the Gods. Their legends told that this cloudy streak across the sky was really the breast milk of Hera, wife of Zeus. The Ancient Greeks are also to thank for the name “Milky Way”. The Hellenistic phrase Γαλαξίας κύκλος, pronounced galaxias kyklos, means “milky circle”, and provides the root for our modern name. 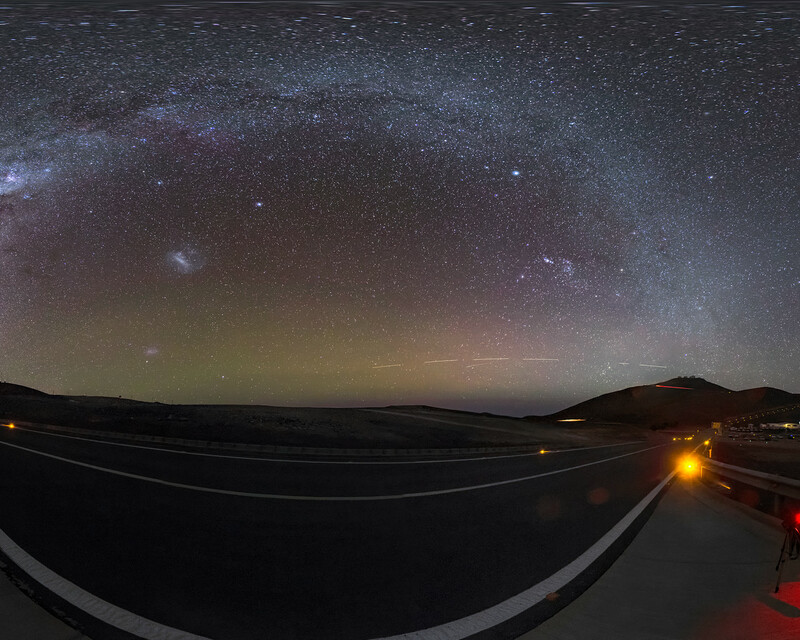 This 360 degree panorama image was taken by ESO Photo Ambassador Gabriel Brammer. An astronomer visiting Paranal can be seen standing towards the right hand side of this image admiring the view.